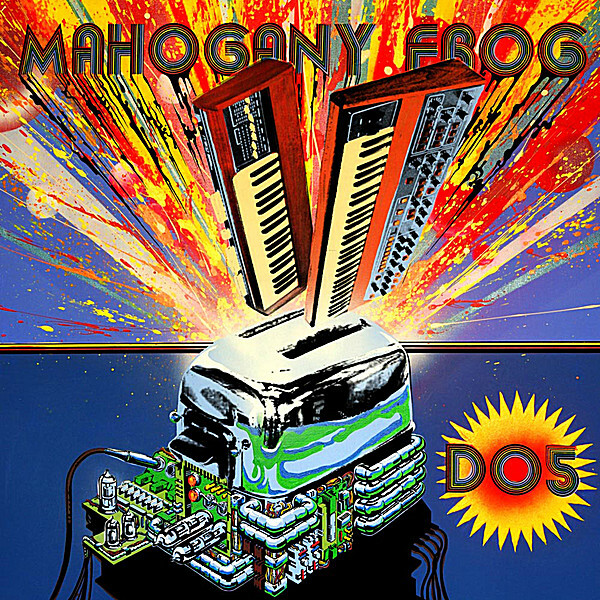 Canada’s Mahogany Frog has been slightly off the main prog radar in their native Winnipeg honing their own incarnation of the 70s classic prog rock sound. On the quartet’s third instrumental recording, keyboardists Graham Epp and Jesse Warkentin have done an amazing job resurrecting gear and presenting vintage sounds doing both Mike Ratledge and Dave Stewart proud. This collection of nine well-arranged pieces are grounded as much on Fender Rhodes as Moog, Farfisa, and other classic keys. The other essential ingredient of the band is the rock and jazz elements from guitarist/bassist Scott Ellenberger. His straight and distorted leads blend well on pieces such as “Medicine Missile” and “Demon Jigging Spoon.” The former piece runs the gamut of high pitched synths and psychedelic twisted leads evoking elements of both Egg and Rain Dances era Camel. Drummer J. P. Perron is clearly from the Robert Wyatt school of reckless abandon as prominently heard on the rave up, “You’re Meshugah!” Tracks such as “T-Tigers and Toasters” and “Lady X & Shield Jaguar” show the composers keen grasp of melody, and a rich chord vocabulary. The closing anthem track, “Loveset,” captures much of the uplifting 70s mood in no small part from the well crafted trumpet parts. If you’re an ardent fan of The Rotters’ Club or any Soft Machine this disc will provide a gentle reminder of that halcyon era. Highly recommended.